"Yellow Sally - Fly Angler's Online Volumn 12 week 30"
Each year around the first few weeks in May, the yellow stone fly makes it's appearance on the bushy, rocky streams of northern Pennsylvania. For generations the Yellow Sally fly has been used to copy the yellow stonefly, but I don't think the fly has received the credit it deserves. One example could be found in Mary Orvis Marbury's book Favorite Flies and Their Histories. 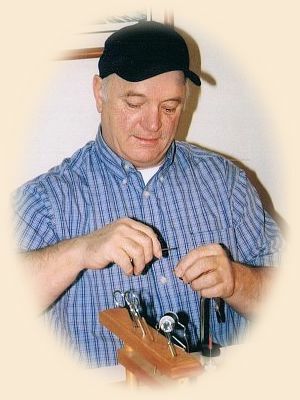 While several correspondents mention the Yellow Sally as one of their favorites, the author fails to list the Yellow Sally in the color plates or index. Her book does list a Yellow May, but while these flies are very similar they are two separate flies. I could point to several books, one of which is J. Edson Leonard's Flies that have separate listings for the Yellow Sally and Yellow May. 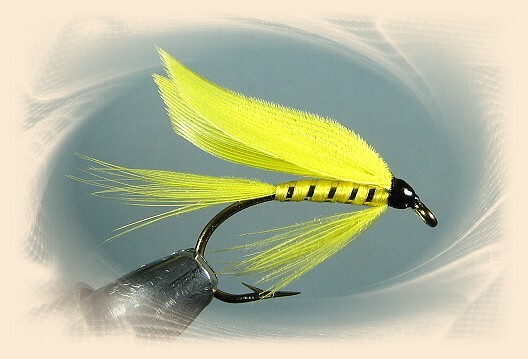 Regardless which is correct, this all-yellow fly is a real fish catcher and I have found that it seems to have a special appeal to Brook trout.